I once worked at a movie theater that was frequented by celebrities of every make and model. For some reason, the bigger the name (Queen Latifah, Colin Farrel) the less the effect they had on me. I’d do my job and they’d go on their way with nary an increase in my pulse or heart rate. It was often the second tier celebrities (for lack of a better phrase) that got me tongue tied and turned me into a flibbertigibbet. I’m not sure why. They may not have been as great an actor as Marlon Brando, but they just always seemed to give me more joy. Anyway, for what it is, there it is. And there it was when I was face down at the customer service desk and looked up and there was George Takei…and I froze. He had been such a part of my youth from the first episode of Star Trek, a series of mixed quality in looking back today, of course, but at the time had a palpable impact on me and many of my friends. I knew that he knew that I was a bit bewitched, bothered and befuddled. But he just smiled and went his way. So today, we have To Be Takei (rhymes with toupee, as Takei pointedly pointed out to William Shatner at the Comedy Central Roast), a documentary of the helmsman of the United Star Ship Enterprise. And what a ton of fun it is. The movie is divided among two through lines: a sort of cinema verité look at Takei’s life in the present sense, especially his relationship with his husband Brad, a couple who have all the aspects of two people who have been married for much longer than they actually have (since it’s only been of recent that gay couples could legally wed)—they bicker, bill and coo, play relationship games, kiss and make up, embarrass each other in ways the other has seen millions of times, but still can’t quite get used to. You know, just like your parents. The other half is Takei’s biography, his early years in a Japanese internment camp; the difficulties of going into the business while being Asian; how much impact Star Trek had on him and his career; his dealing with being in the closet; and then his dealing with no longer being in the closet. It’s often deeply moving and often very funnei in that Takei way. Koenig stated (and I paraphrase) that since they would always be so identified with their TV roles that that would probably be the high point of their lives, he thought that now they would sort of move into retirement and enjoy what was left. But Takei refused to go gently. No, he not only kept acting, but found new purposes and ways of fulfillment in his life. 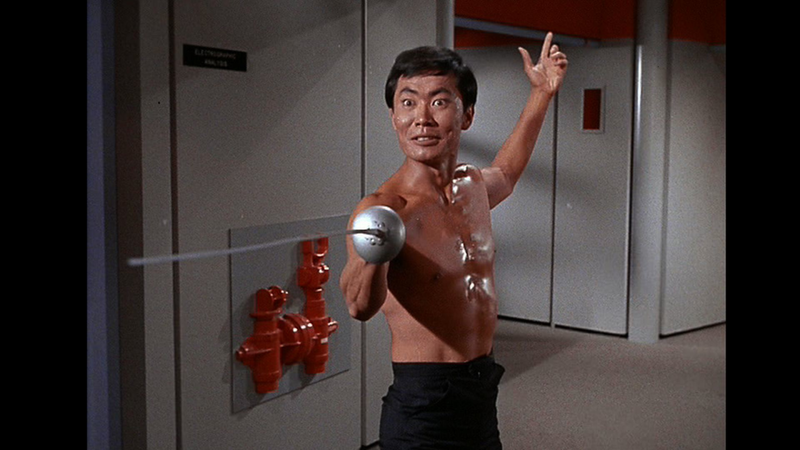 Maybe the original Star Trek has stopped going where no man has gone before, but Takei is still out here, lecturing on his life in the camps; visiting sic-fi conventions; working for gay marriage; getting married; and playing one of the leads in a musical based on Japanese internment. All while earning, with his infamously humorous postings, a few too many facebook followers to want to think about (hey, priorities are priorities). With William Shatner, who I thought was rather brave in his willingness to be interviewed, and who seemed particularly perplexed that anyone thinks he should have any sort or relationship with his former Trek-mate. (And maybe one day we’ll find out the truth about that wedding invitation). Jealousy is an odd title for the new French film about a man who leaves his girlfriend and child for another woman mainly because I don’t recall there being much jealousy in the film. There’s some envy, but precious little of the green eyed monster word. The movie is your basic boy gets girl, boy loses girl, boy almost loses boy narrative, filmed in gorgeous new wave black and white and co-starring Louis (The Dreamers, Love Songs) Garrel and one of the greatest heads of hair you’ll see in the movies today. 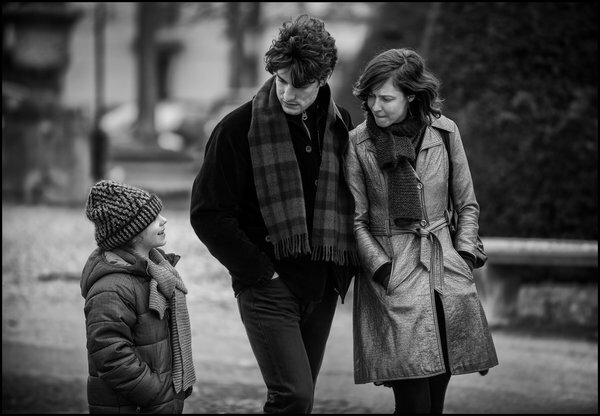 Directed by Philippe Garrel (yes, father of) and written by Garrel, Marc Cholodonko, Caroline Deraus-Garrel and Arlette Langman, the story follows Louis (Garrel fils) and his new love Claudia (Anna Mouglalis). They are both actors, but he is barely getting by and she hasn’t had a role in six years. Tired of their poverty, she leaves him for another man who can more provide for her (though there is a suggestion that the other man would have no problem sharing the girlfriend, which, for Louis, was just one step too far after one step too far). At first it’s a little hard to feel for Louis and his situation. After all, this is sort of what he did to his ex- and child. But life is life, after all, and hurt is hurt, and one does come to have an emotional investment in how it all plays out. And Garrel is very good as the one who is done unto as he did to others. The film is a chamber piece and quiet character study and how you feel about it will depend on how you feel about chamber pieces and quiet character studies. It’s often what is called deceptively simple and Garrel pere directs everything with a certain and steady steadycam while letting everything unfold as it unfolds, keeping all the sturm and drang bubbling beneath the surface. If you like A Man and a Woman, the Before Sunrise, Sunset and Midnight franchise and arty black and white films, then this is something you should definitely check out. If you’re more a Judd Apatow fan, this might not be your cup of tea. I found it riveting and very moving. Always get married in the morning. That way, if it doesn’t work out, you haven’t wasted the whole day. At the end of Love is Strange, there is a rather magical moment. Ben and George, two gay men who married, which caused one to lose his job and because of a lack of money coming in, are forced to sell their co-op and move in with different relatives, are at a bar after a concert. They have found a new place to live and are reconnecting, coming to terms with their relationship, going over old times and coming to realize why they love each other. They are saying hello without realizing that they are actually saying good-bye. And at the end, they kiss and part as if on their first date with Ben going symbolically downstairs into a subway. But I have to say that for me, the rest of the movie never quite came up to this level of transcendence and more often felt as if the writers Ira Sachs (who also directed) and Marucio Zacharias were still trying to figure how to tell their story. Though Love is Strange has a very modern and contemporary feel to its subject matter, I believe it should be noted that the basic idea dates back to 1937 and a movie written by Vina Delmar and directed by Leo McCarey called Make Way for Tomorrow. In the earlier film, Depression era Buelah Bondi and Victor Moore play aging parents who lose their home and are separated as each moves in with one of their children. In both cases, heartbreak ensues. 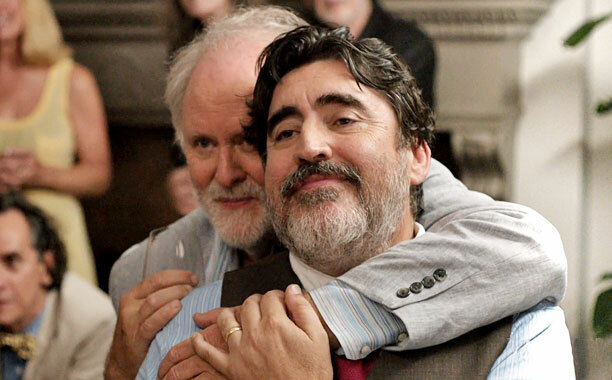 Like Make Way for Tomorrow, Love is Strange is sincere, sweet, moving and determined to not let a dry eye escape the theater. At the same time, though that’s nothing to sneeze at, I’m just not sure it’s much more than that. Zacharias and Sachs’ film falls into the category of social problem movie and has all the safety nets of such a film. It’s carefully calculated not to offend, takes no real chances and is written and directed without ever taking its eye off the audience and the box office. It’s what is called a middle brow film, a movie that makes the audience think they’ve really grappled with a subject, but in the end, lets everyone off the hook without really challenging anyone about anything. The closest it comes to taking any sort of risk is when homophobia threatens to lift its head after Ben (John Lithgow) moves in with his nephew Eliot, wife Kate, and their son, Joey. Ben is an artist and after he takes to using his grand-nephew’s best friend, Ivan, as a model, Joey calls it all gay and Kate questions whether it’s appropriate for Ben to use the teen for a muse. This leads to a rather strained defense of the word “gay” as not being offensive that is more offensive than the original use of the word as far as I was concerned (the various characters carefully explain that kids these days use it to mean stupid and that it’s a word that no longer has a gender connotation—a discussion that not only doesn’t make me feel better about its use here, but is highly questionable). But what makes it middle brow is that the whole subject is dropped almost as soon as it began. And in the end, the conflicts everyone has concerning the living situations never rise above the annoying (Ben’s husband, George, moves in with some police officer friends and has to face the awfulness of coming home and finding them involved in a role playing game, while Ben becomes privy to the fissures in his nephews’ marriage—fissures that never open very wide and seem borrowed from other movies and TV shows) and nothing ever really happens that is all that insightful or original. Of course, in its defense, this is probably very realistic. I just didn’t find it all that interesting. And there is one really odd through line with Joey and that best friend. They’re caught stealing books in French. I never quite understood exactly what was going on here or what the big deal was. I felt like part of the story was left out. The writer and director also make some odd choices here and there. At one point, George has a piano student play a piece over again because the first time, she played with too much interpretation and not enough metronome. Fair enough, except that for the second time the piece was played, I (and, I wager, most people in the audience) wouldn’t be able to tell the difference between the two, which means we listened to the same piece twice for no apparent reason. This is mirrored at the end when Ben and George attend a concert, but for most of the scene, the emphasis is on the music, and not what it means to the characters. I mean, yeah, the music is great, but it also stops the forward momentum dead for those moments (in a movie that doesn’t really have a lot of forward momentum as it is). And for some odd reason, the story ends on a lengthy scene with Joey, the grand-nephew. This really flummoxed me. Earlier, Joey was a minor character, just one among many. Suddenly, he seems to be what the whole movie was about. But I just found it clunky and confusing. The acting is a mixed bag. Nobody is terrible, but some, like Marisa Tomei as Kate, and Lithgow, seem to be struggling to find a character (in fact, no one in this part of the story seems all that comfortable with what they are given to do). In the end, it’s Molina who carries the movie off on his broad shoulders. He inhabits his character with the smoothness of his lovely English accent, cinching it closed like a well worn London Fog raincoat. 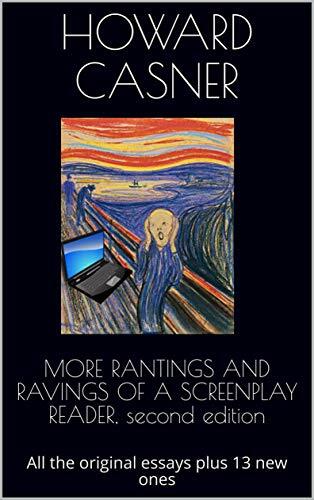 Part of the reason for this could be because his half of the movie seems better written. While Ben has to deal with the faux Eugene O’Neill conflicts of his nephew’s family, George is constantly confronted by relatives who want to introduce him to Game of Thrones, Dungeons and Dragons and a constant barrage of visitors and parties (and one can empathize with his being the oldest one at a party who can’t really leave and can’t go to sleep because people are sitting on his bed). 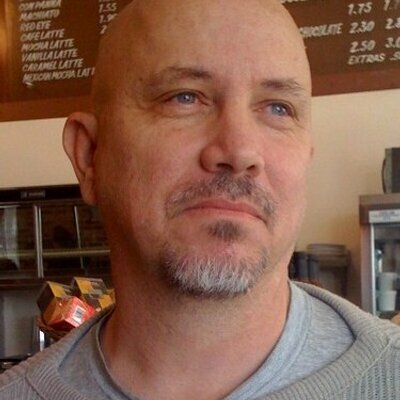 In fact, one might say that his part of the story works best because the filmmakers have something different to share here. Nothing seems really forced, is much funnier, and feels fresher that what happens to George. With John Cullum, one of American’s greatest Broadway stars, as the priest who lowers the cross on George.